It was the blizzard that never was, the #blizzardof2015. But that didn’t stop the entire Northeast from having a snow day. The kids had a half day of school. 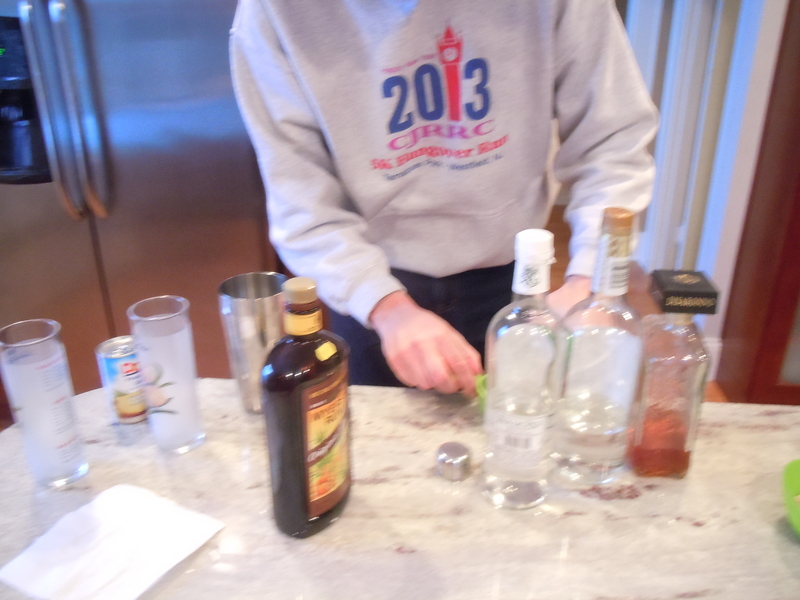 We had early music lessons and Mark came home early from work (work shut down at 1 p.m.). In place of the 4:00 Ellen Degeneres show Monday afternoon, we watched breaking news about everything shutting down and (incorrect) weather predictions. That was kind of boring, so the kids made a movie. 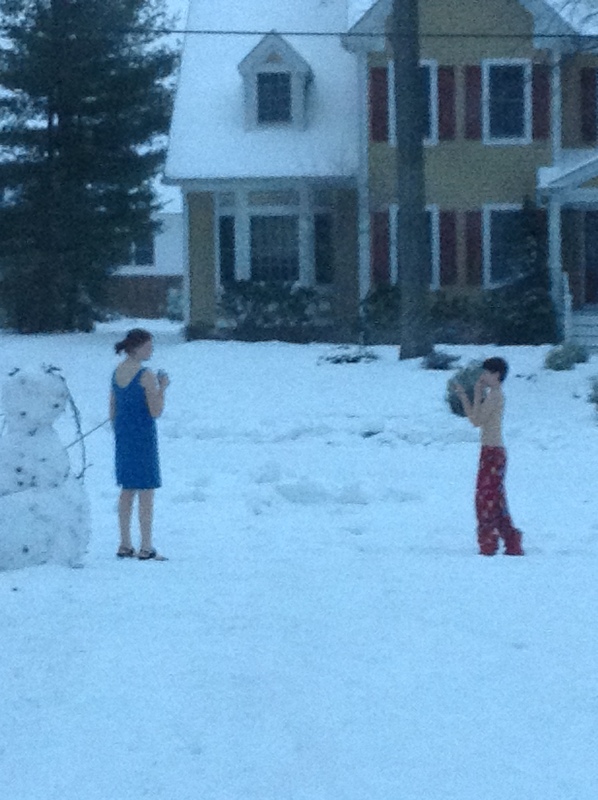 The kids headed outside to film, Jane Botox in sandals and a sleeveless dress, and the cameraman with no shirt (and pajama bottoms), in solidarity. The snow was supposed to come down heavily starting at 6 p.m., and then even more after midnight. All evening there was…nothing. We went to bed and did hear some wind, but slept through the night. In the morning we still had power. Hooray! 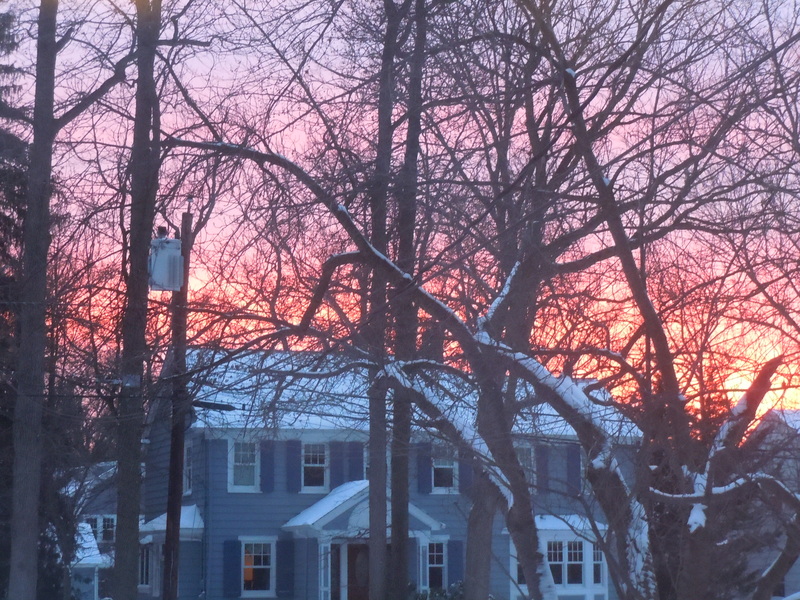 And then we looked outside and saw…not much. There was maybe an additional 3 inches of snow. New Jersey and New York shuts down for this? 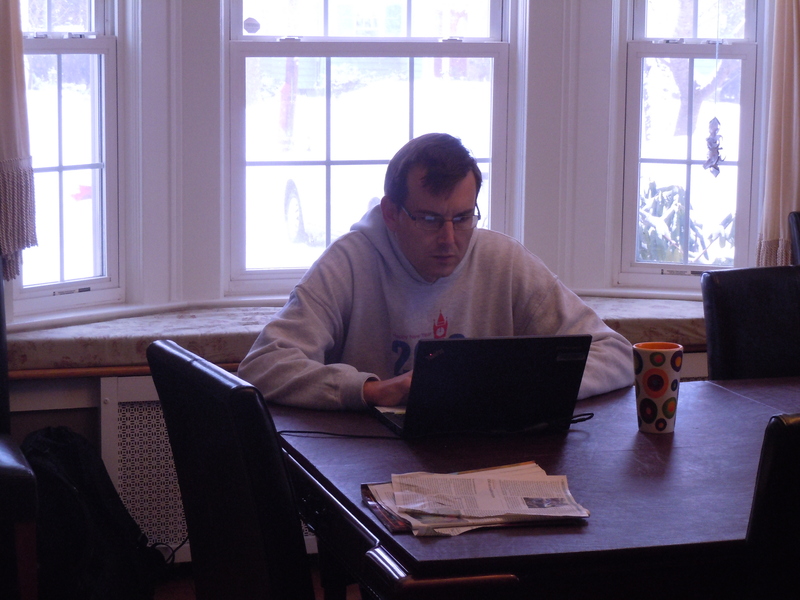 Mark and I got up early to work, since the kids would be home all day and we weren’t sure if we’d have power (ha!). Zack and I made pancakes. 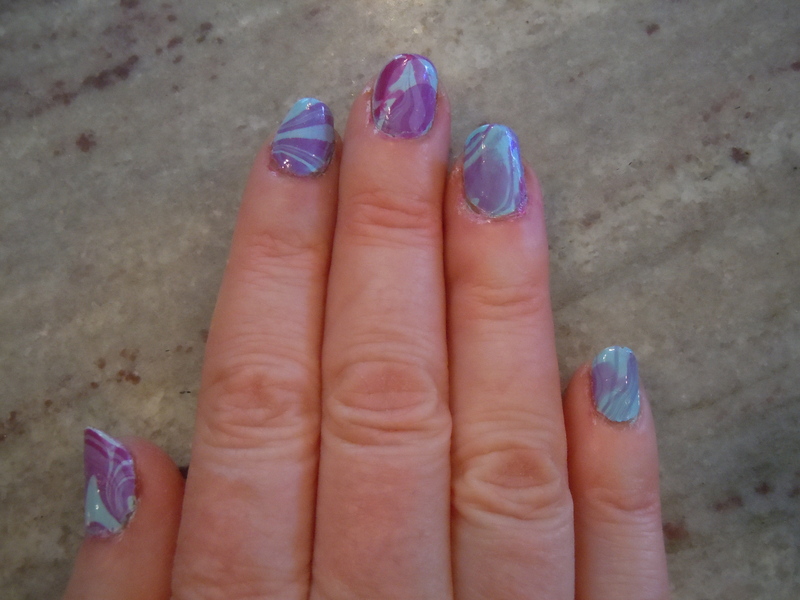 Dori painted my nails in a marbled pattern, using a water bath technique. Very cool results. I beat Zack in three out of four games of backgammon. We all had some fights and got on each other’s nerves. And then Mark went out for a local meeting and for a run. 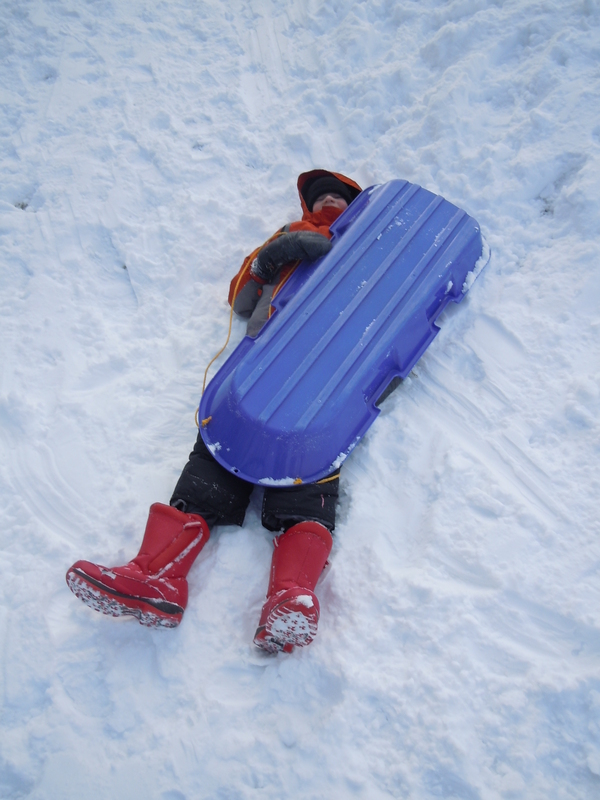 The kids and I went sledding at the golf course in a neighboring town. We weren’t alone. It was quite crowded and no one was paying any attention. 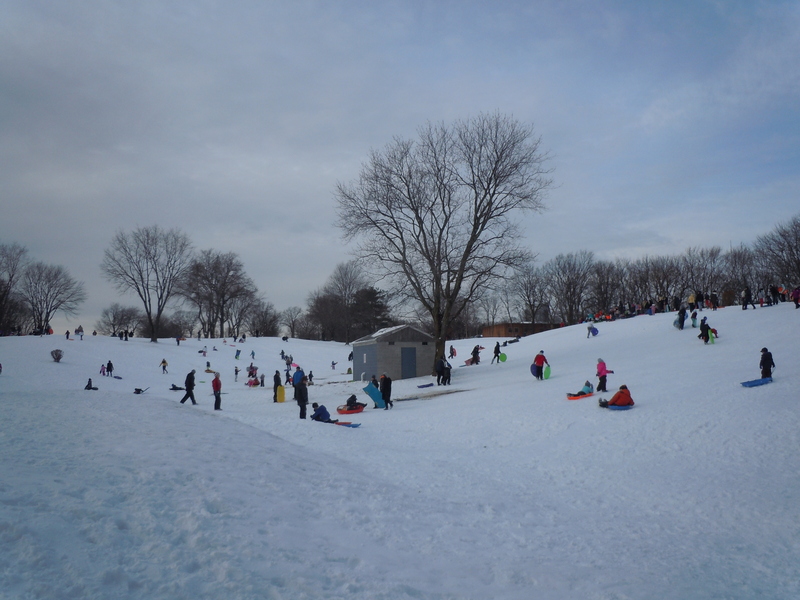 We wiped people out as they stood there looking anywhere but for incoming sledders at the bottom, or while walking back up. It was a little too crowded there with no order whatsoever. Of course the whole time I worried that my car would get towed. It was in the parking lot, but no one else was in that lot. 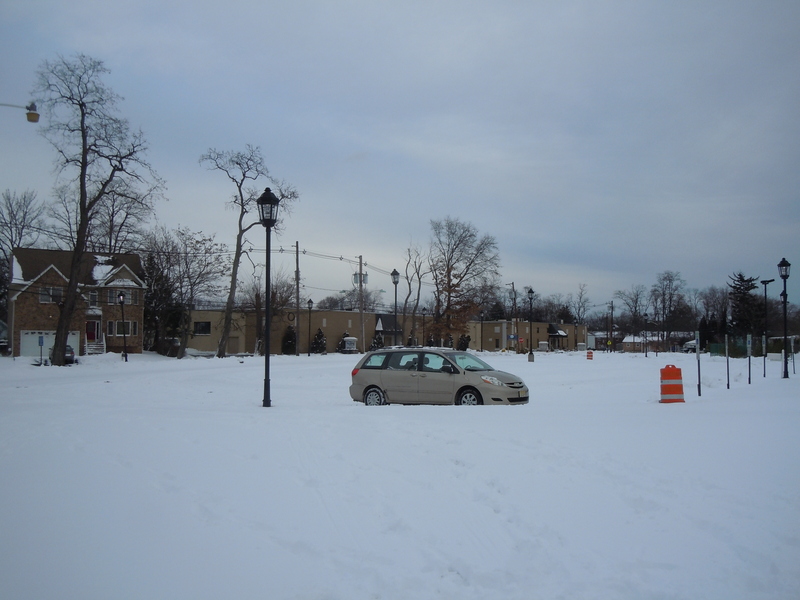 Everyone else was parked on the street on the other side of the golf course, closer to the sledding. I was relieved to see my car still there when I got back. 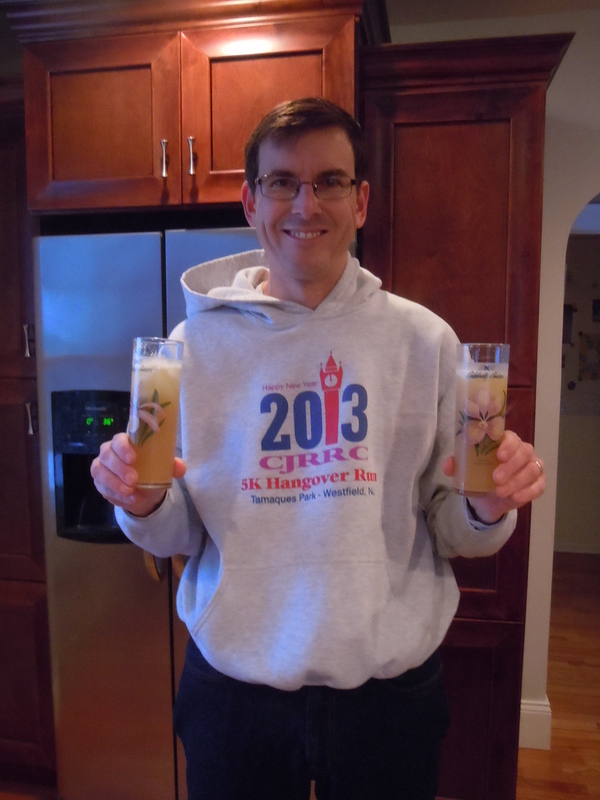 After showering, Mark and I decided it was time for mai tais. They were truly needed. 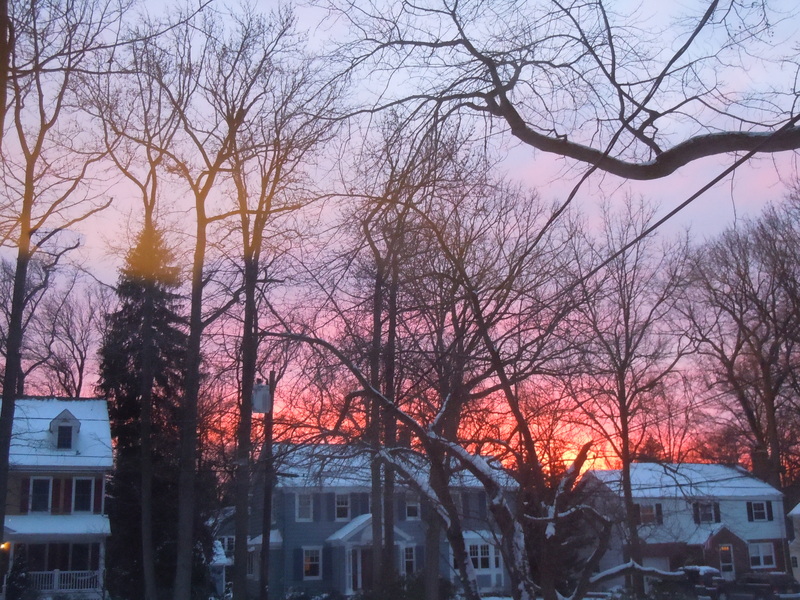 The sunset was beautiful, and the carry-out pizza dinner was good too. Here’s to the blizzard of 2015! Those mai tai glasses cost SOMEONE a lot of money, but it wasn’t us. OMG that video was awesome! They created that in half a day? Wow. Rachel – they actually created it in less than that. A few hours. They’re quick!